A major hub in the south western region of Sydney, Campbelltown is a burgeoning suburb that has been earmarked for rapid infrastructure and community development in the immediate future. With a diverse population bursting with culture, Campbelltown is an ideal base to explore the surrounding areas of Macarthur, and is within easy distance to Sydney, the Southern Highlands, Canberra and the Blue Mountains. Campbelltown Arts Centre, the region’s major cultural venue, provides a yearlong calendar of educational talks, art programs and exhibitions. A collection of parks and reserves also provide plenty of space for families and fitness gurus to explore. Feel welcome at one of the hotels offered by AccorHotels and our partners in Campbelltown. 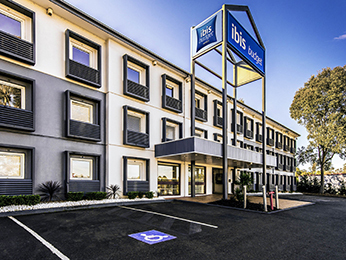 Discover our selection of luxury to budget hotels in Campbelltown for your next business trip, family holiday or weekend break.